Number 2 of the Charlie Chan Series, The Chinese Parrot: A Charlie Chan Mystery lands our master detective in the California desert. But this time, he not only must find a murderer, he must discover who’s been murdered! Helping Bob Eden deliver a string of pearls to a buyer started out sounding simple enough; now Charlie Chan finds himself undercover and is painfully forced to speak bad English – not such a comfort for our intellectual sleuth who prides himself in the well-formed and poetic sentence. Biggers manages to make the second book of his Charlie Chan series, The Chinese Parrot: A Charlie Chan Mystery even better than the first. 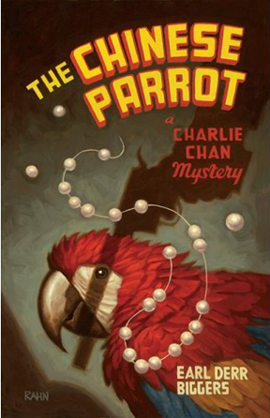 Great dialog reminiscent in style of some of my favorite old movies, an even more complex mystery plot than the first, and a lot more of Charlie Chan himself, are all to be found in The Chinese Parrot. And as before, Biggers jumped decades ahead of his time by subtly taking on the misconceptions of race to stereotypes while keeping his audience guessing, laughing, and completely riveted in yet another compelling mystery I, for one, am impatiently awaiting Academy of Chicago’s fall release of numbers 3 and 4 of the Charlie Chan series. Want a shot at winning The Chinese Parrot? Here’s your chance! 1.) Just tell me a real mystery you’ve encountered – solved, unsolved, one sentence or ten! Baffle me… (You may enter once a day.) Remember, leave an interesting comment. If I cannot contact the winner, you might be chosen instead based on your comment. 2.) Email subscribers get an extra entry for as long as their subscription is active. Already a subscriber? Leave me a separate comment on this post to let me know you’re interested in this giveaway. Feel free to do all four to gain several entries to win! You have until midnight EST on Wednesday, May 13, 2009, to enter. 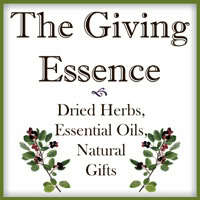 Check out all current giveaways for both my blogs here. I wrote a young adult murder mystery based of the Phantom of the OPera. I’m working on getting it published. Happy Mothers Day to all you great mom’s! Interesting read ~ would love to win this. When we had a pet rat, I thought my daughter had forgotten to put the rat back in the cage, because she kept disappearing. Then we found out that her rat had chewed a hole through the top of the cage. Now when I think of a mystery with a hint of comedy I remember Charlie Chan! What fun for the summer! A mystery to me is my husband! Need I say more! Thanks for your great site! my biggest mystery is how my husband can never remember anything i tell him. Here’s your mystery: My mother in law works the night shift as a nurse. She has three boys and several grandchildren who visit on a “walk-in” basis. The door is always locked, but family is always welcome to come on in and make themselves at home. Seemed some one was also making themselves sandwiches and leaving the plates in the sink, a big no-no. Marjorie admonished everyone that this was not acceptable, everyone agreed. But the dirty plates, cups and silverware kept showing up in the sink. One day in particular, the mess was quite extensive, and we recieved phone calls from a very irate mom. No one could admit to the mess, because we were all out of town camping. Who was making the mess? Charlie Chan is an excellent example of how to solve a mystery with cliches’, humor and good commonsense! What a blockbuster of interest! Hope I win! Thanks! I used to watch old Charlie Chan movies on TV when I was young. I wish they would show them on TCM. Thanks for the entry! Hope your Tuesday isn’t Terrifying! Its a mystery how I can watch the most touching movies ever made, and not shed a tear, yet I bawl everyday I watch Armageddon. What the government continues to believe is advantageous by withholding information on national issues of historical interest: area 51 and the JFK assassination are two top ‘mysteries’ that come to mind! Melanie Griffith is an actress? My crockpot stopped working today in the middle of using it all day. But the mystery is at what point of cooking did it shut off so was the meat safe? My response: I heated the meat up to a safe 165 degrees so if there were any dangerous bacteria, they were destroyed. Food poisoning=one of life’s worst possible experiences. For the longest time I kept hearing a faint noise from my purse. It was intermittent and I couldn’t understand what was causing it. I finally discovered that the alarm was going off on my cell phone. It was something I had set several months before and failed to completely delete. Lost my glasses one day. Difficult to function without them back then. Finally found them…in the ‘fridge next to the milk. What in the…?! For some reason, one of my kid’s toys turns on by itself when the batteries run low…creepy. I kept hearing a THUMP at my front window (a 50’s picture window that doesn’t open) at twilight each day! It was SOOOO odd! Finally I happened to be outside at just the right time and saw that it was a cockatiel, trying to get in (hearing the sounds of my pet parrots!). However when I approached it, it flew away – but afterwards I would leave it seeds on the outer windowsill so that even if it couldn’t get in, it would get to eat! One missing sock! Where do they go! Does the washer crave socks and only eats one at a time? Where can I find the answer to this phenonemon! Thanks for allowing me to vent! I have no idea where my brother is. I used to visit him. One day he was gone. I don’t have an address or phone number. No one knows where he went. Have a Wild, Wonderful, Wednesday! The guys went golfing a couple summers ago and my brother-in-law took a drive shot and his club disappeared. All the guys were looking all around for that club, finally my husband thought to look up and sure enough, the club was 20 feet up in a tree. We are all still laughing today when the story comes up. My beloved uncle was found strangled along a wooded path just last year around this time of year. It’s a mystery to me why Paris Hilton is a celebrity. When I was going through a rough time in my live, my friend called me from her cell phone on a Sunday. I heard a lot of voices in the background, but my friend never answered when I called out her name. The next day I spoke to her and she said that she was at church and that her cell phone’s keypad was locked to prevent dialing out without her knowledge. The mystery is that the following sunday I received another call from her cell phone, again she was at church, but the strange thing about it is that I had just changed my phone number and my friend’s cell phone called the NEW NUMBER! When I was 4 we lived on Reseda Blvd. in Northridge, CA, where I had a number of disturbing nightmares, in black and white, of earthquakes, apartment buildings collapsing, and dead bodies being hauled out on gurneys. Forty years later, on the day that the huge Northridge earthquake hit, I was living in Tehachapi, CA, where the quake could be felt quite strongly. My kids and I turned on the TV to see where the epicenter of the quake was, and noticed the picture on our color TV was coming in in black and white because of a power surge, and the news photos were focused on collapsed apartments and dead bodies were being hauled out on gurneys. The pictures were the same I’d seen in my dreams at age 4! Adding to my shock was the announcement that the collapsed apartment building was on Reseda Blvd. where we’d lived when I had the dreams. How did I “see” these things 40 years before they happened, and in black and white like I viewed them on the day they happened? My biggest mystery is how I can clean and clean and within 5 minutes it somehow looks worse than when I started LOL kids maybe? My mystery was the case of the missing shoe which still remains unsolved today. When my daughter was little, she used to play with another little girl around the corner from us. One day I came home with a pair of new shoes. That night I went to put them away and found I only had one shoe. Where the mate went I have no idea, we searched the house from top to bottom and it was gone. Both my daughter and her friend who was over to the house claimed themselves to be innocent. What happened to my shoe?